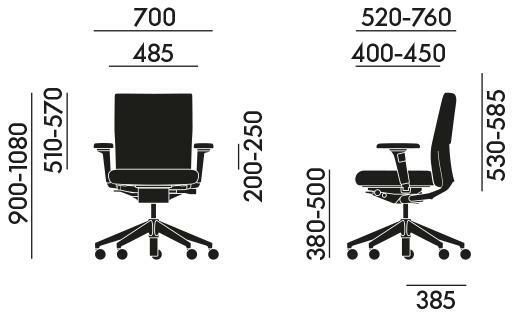 Designed by Antonio Citterio for Vitra the ID Soft Black Special office swivel chair is part of the Vitra ID Chair Concept, a collection of office chairs characterised by a high level of sitting comfort. 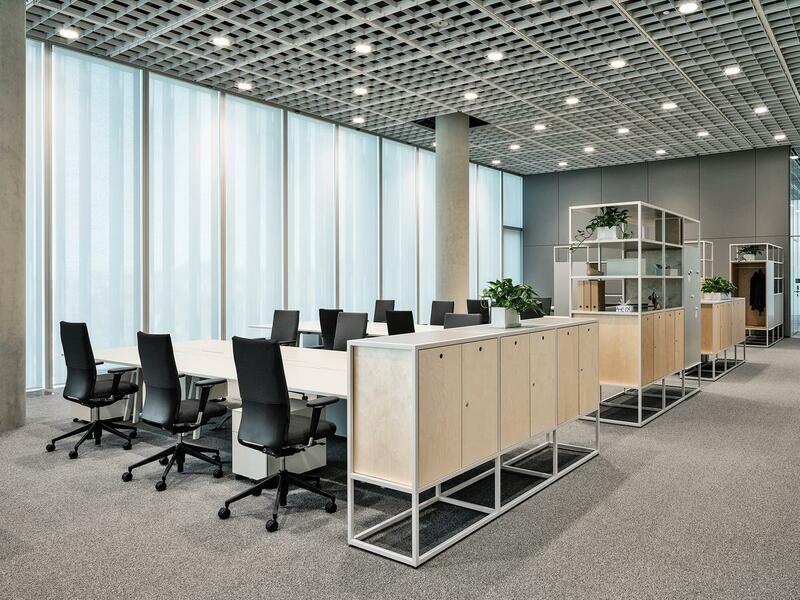 The ID Soft Black Special is a special edition of the Vitra ID Soft in plain black, and as with all ID Chairs is made of quality materials and with its flexibility has the potential to become the heart of every contemporary office environment. 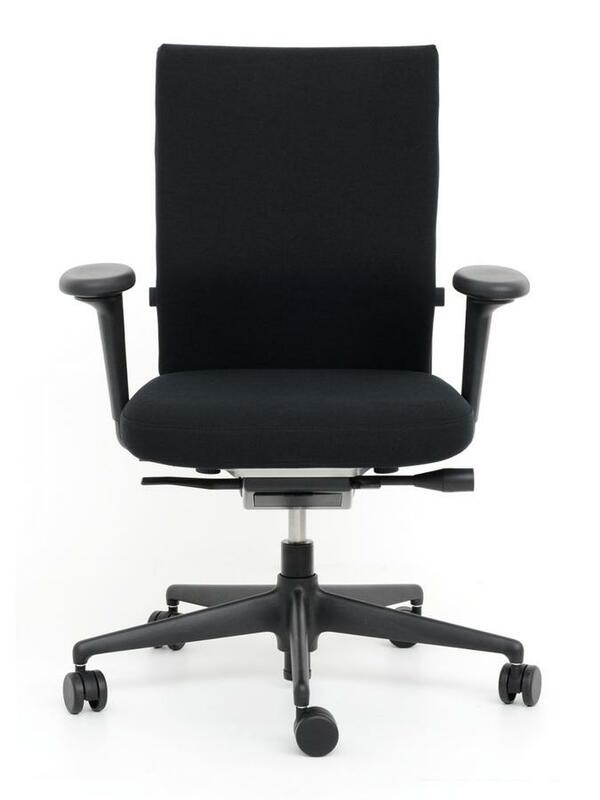 Variants With FlowMotion: The backrest counterforce adjusts manually. 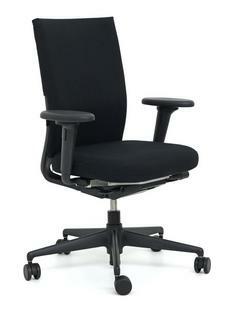 Care To clean your Vitra ID Soft Black Special, wiping with a damp cloth and a mild detergent is recommended. The ID Chair Concept, an office swivel chair collection from contemporary furniture manufacturer Vitra, has been designed to meet the demands of the modern office sector for high levels of functionality, aesthetics and economy, and takes into account the individual needs of employees as well as the commercial interests of the employer. 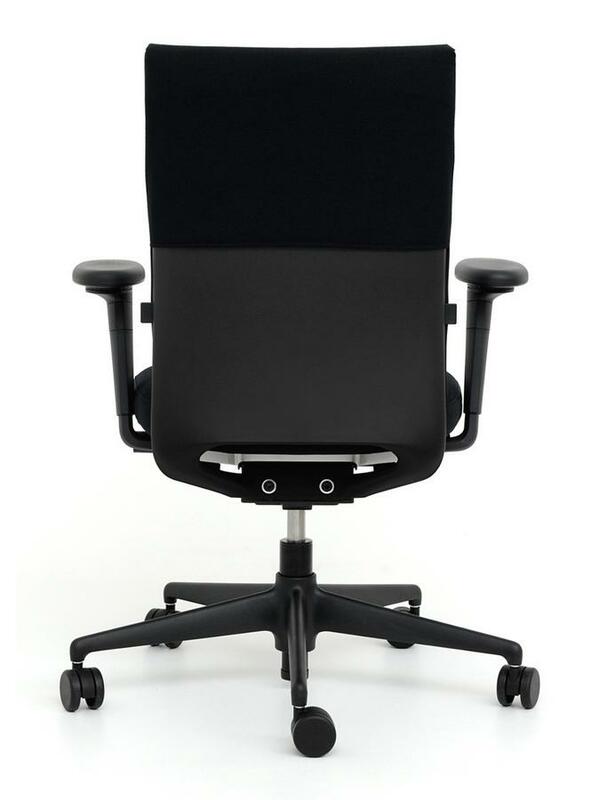 Designed, as with the rest of the ID Chair Concept by Italian designer Antonio Citterio, the Vitra ID Soft Black Special office chair features 2D armrests and is covered in Trevira CS, a hard wearing, 100% polyester textile. 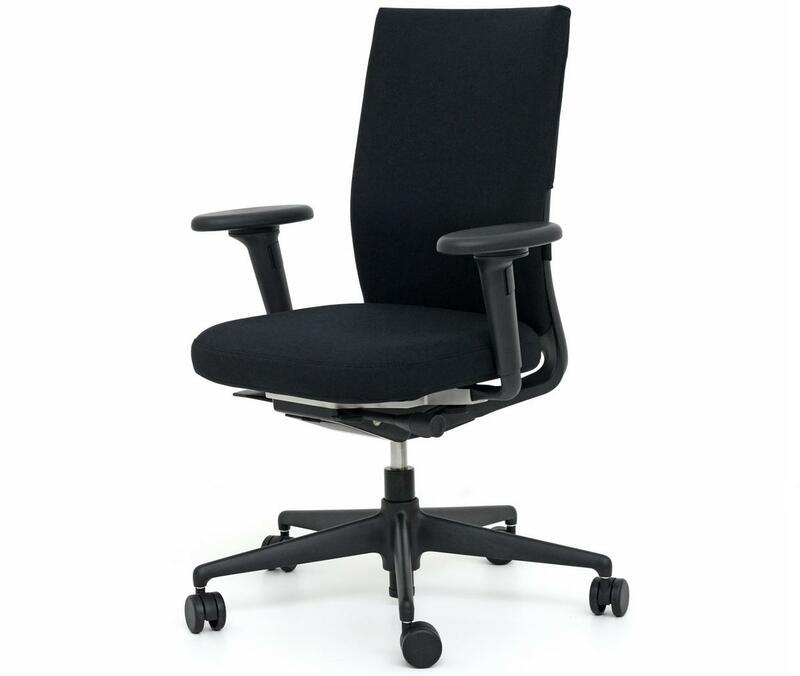 The seat and backrest are formed from high-quality polyurethane foam padding thus ensuring high seating comfort; a feature supported by the use of the so-called FlowMotion mechanism - a support mechanism in which numerous functions can be individually adjusted according to the individual user's needs and thus making the Vitra ID Soft Black Special perfect for situations where one worker spends long periods sitting in the same chair. 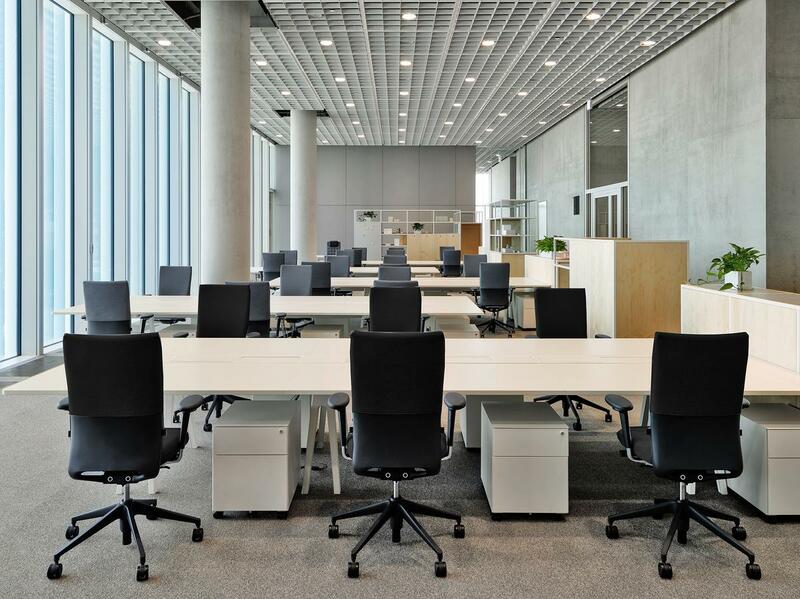 Alternative to the ID Soft Black Special Vitra also supplies the ID Soft in a wide range of colour variations, materials variations and component variations. 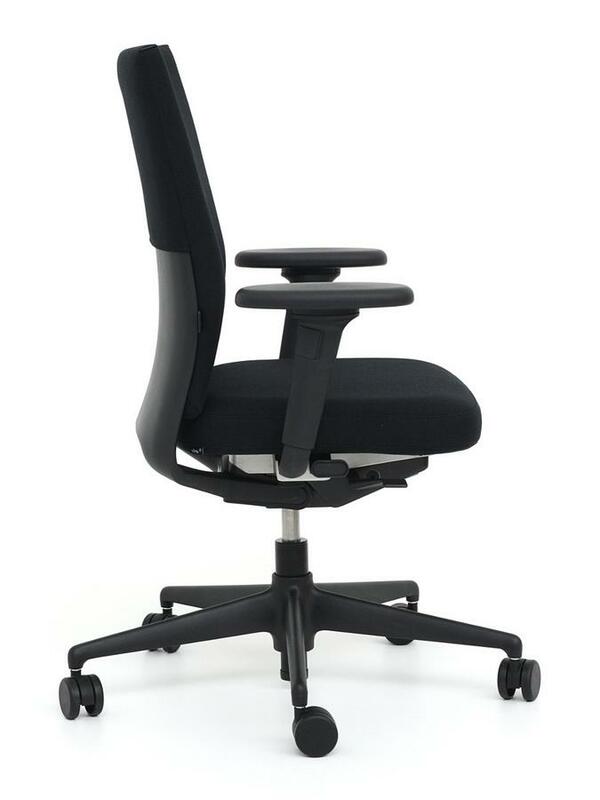 And regardless of version with the Vitra ID Chair Concept design, ergonomics and functionality always go hand in hand.